We are highly experienced insulating surveyors and technicians, covering agriculture, commercial, shipping and domestic areas. Over our time in the polyurethane foam insulation industry we have completed many contracts in the commercial; agricultural, domestic, and shipping industries. Most of our technicians each have in excess of 20 years' experience. Heat loss from a house or building occurs in almost every direction, with walls and roofs accounting fornearly 60% of total heat loss. 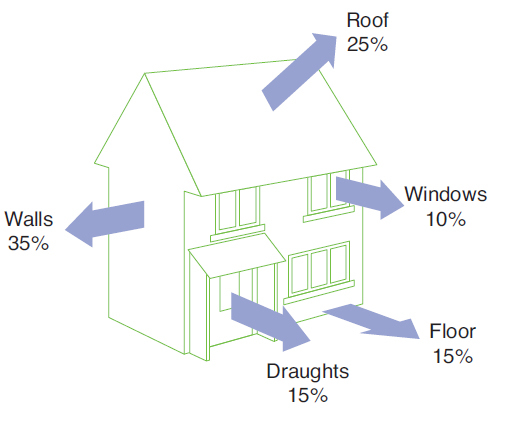 Damp and moisture ingress can affect the performance of certain insulation materials (such as mineral fibre). Whether your project is a brand new home, a renovation, or a simple home improvement project, spray foam insulation is a healthy alternative to traditional insulation. Our insulation is useful for attics, existing walls, and roofing systems. Foam insulation will outperform traditional insulation, in both value and efficiency. Spray foam will provide a virtual air tight insulation system that will provide a lifetime of energy efficiency.